There are some differing opinions on the question of support for 10 Barrel. They recently opened their Pearl location, which was delayed for many months due to who knows what. Inquiring minds wonder if the new place is worth visiting. It's a valid question. The rather large elephant in the living room when it comes to 10 Barrel (Elysian, too, if they opened a brewpub in Portland) is that the company was sold, lock, stock and barrel (haha) to Anheuser-Busch last fall. How do you put that out of your mind? Back up. There was a media preview at the new place a few weeks ago. I was shocked to receive an invitation...shocked because I haven't been kind to AB. And they prefer media types who are kind or, at the very least, sympathetic. I couldn't make the preview due to a prior commitment. I offered to visit another time, but nothing came of it. Perhaps someone on the PR team realized their mistake. No matter. A visit to sample the beers and see the space would have had no affect on my opinion of the place. There are those who have been pretty understanding of the 10 Barrel buyout. The uproar over the deal was "childish and immature," they've said. These are craft beer people, by the way. Pretty comical. Some of those same folks are now singing the praises of the new brewpub. Big surprise. The brewers and the beer are wonderful. I'm sure they are, though I've heard through the grapevine that every beer in development must first be approved by the suits in St Louis. It must be reassuring for the brewers to know their creative moves are being watched and evaluated. The pub layout and ambiance are terrific. Undoubtedly. That's what happens when you spend a boatload of cash to renovate a building and install a pub and brewery. It's in the Pearl so it had to be fancy. Cost may have been an object prior to the AB buyout, less so in the aftermath. Meh. 10 Barrel is providing jobs to a lot of local folks, making it a virtual local business. Great. You can make the same argument in the case of Walmart, one of the most predatory companies on the planet. A bad actor providing local jobs is still a bad actor. The problem with 10 Barrel isn't the beer or the pub or the people. The problem is Anheuser-Busch, which is not a benevolent friend of craft beer. Some believe AB is doing great things at 10 Barrel. It hardly matters. Because they are ruthless schemers bent on leveraging their position in any way possible, no matter how unscrupulous. It's a pretty good bet that 10 Barrel's new pub will be packed and busy much of the time during next week's Craft Brewers Conference. I won't be there. Because any money spent in their pubs or on the brands they own works against the interests of craft beer. It isn't that complicated. Or did you miss the Super Bowl ad? 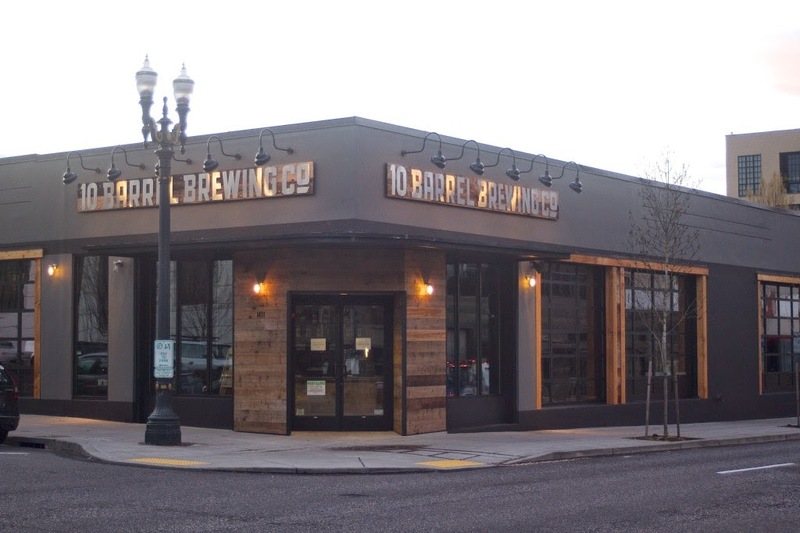 Maletis-10 Barrel Update: The franchise rights to 10 Barrel brands have reportedly been transferred from Maletis to AB-owned Western Distributing in Portland and Salem. As you know if you've been following along, this was an area of contention between Maletis and the suits in St Louis. Details of the deal were not released.